This morning I fell victim to one of the most prominent dangers of finals week: online shopping. One of the things keeping me from getting too stressed out is the Crunch: Candlelight Yoga program that's available to watch instantly on Netflix, and it's fantastically relaxing. But I also want something a little more challenging. I tried the Crunch: Super Slimdown yoga/pilates blend routine, but it just wasn't for me. Too much encouraging shouting. Instead, I just impulse-ordered a DVD that has two yoga routines, one that's more gentle and one that's sort of a 'power yoga' thing. 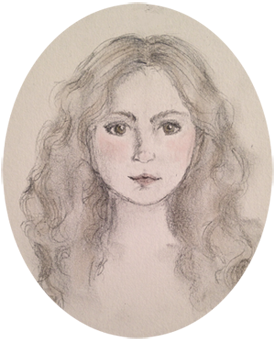 It's with the same instructor as the Candlelight Yoga one, Sara Ivanhoe, and I like her style a lot. She explains enough that I feel fairly sure that I'm doing the poses right, but she also lets you get into your own rhythm with the breathing by having parts where there's no talking, which is helpful. There's a distinct lack of phrases like, "Great job!" and "Looking good!" I find it hard to take compliments seriously from someone who can't actually see me. It's too reminiscent of being told "Good eye!" in gym class when I would run in terror from the ball being lobbed at me. Good intention, but not actually helpful. Anyway, here's what I've been doing, and here's what I just ordered. Yay! I'm so excited to try it this weekend. 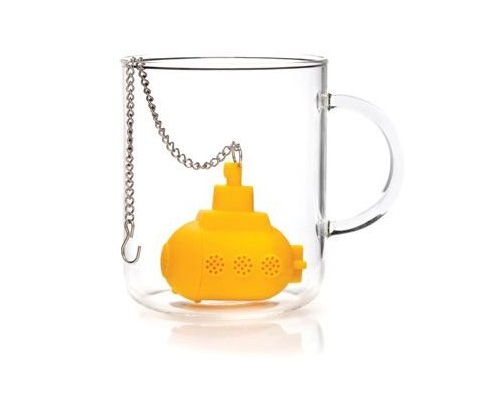 It's a yellow submarine tea infuser. So, so cute. As of now, I have one class (my online licensing class) completely finished, including the final, and I'm almost done with the sewing for two of my other classes, and I only have photoshopping and printing left to do for my two portfolio classes. I hesitate to say this for fear of speaking too soon, but I think maaaaybe I'll make it to the end of the semester with a minimum of weeping/moaning/gnashing of teeth. Here's hoping!